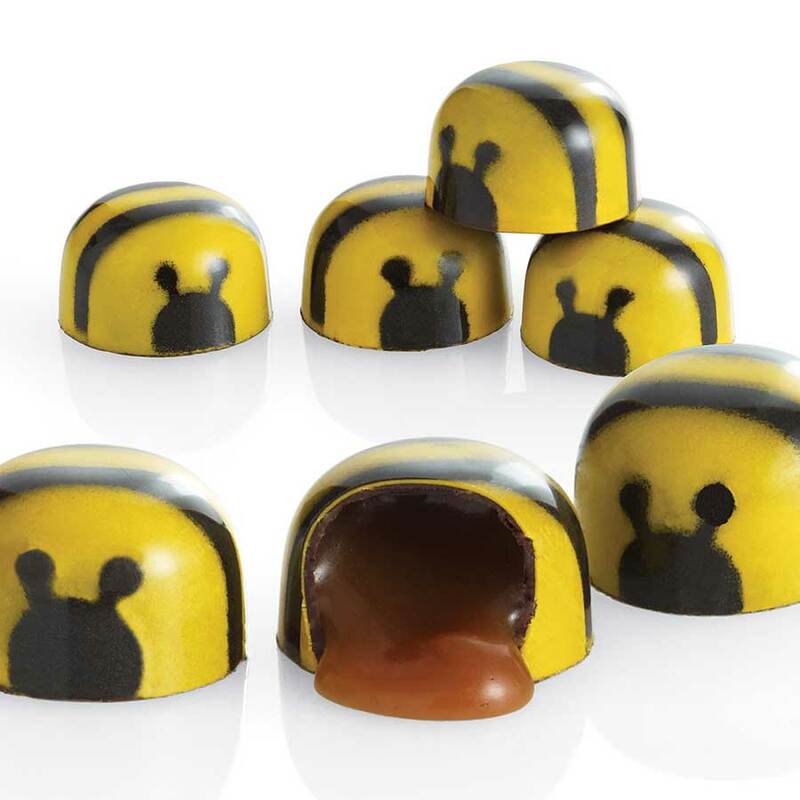 Our Pinnacle Tower combines the nostalgic flavor of Peanut Butter with the sophisticated smoothness of Whiskey Ganache-filled Figs and the sweetness of our Chocolate Honey Caramel Bees. 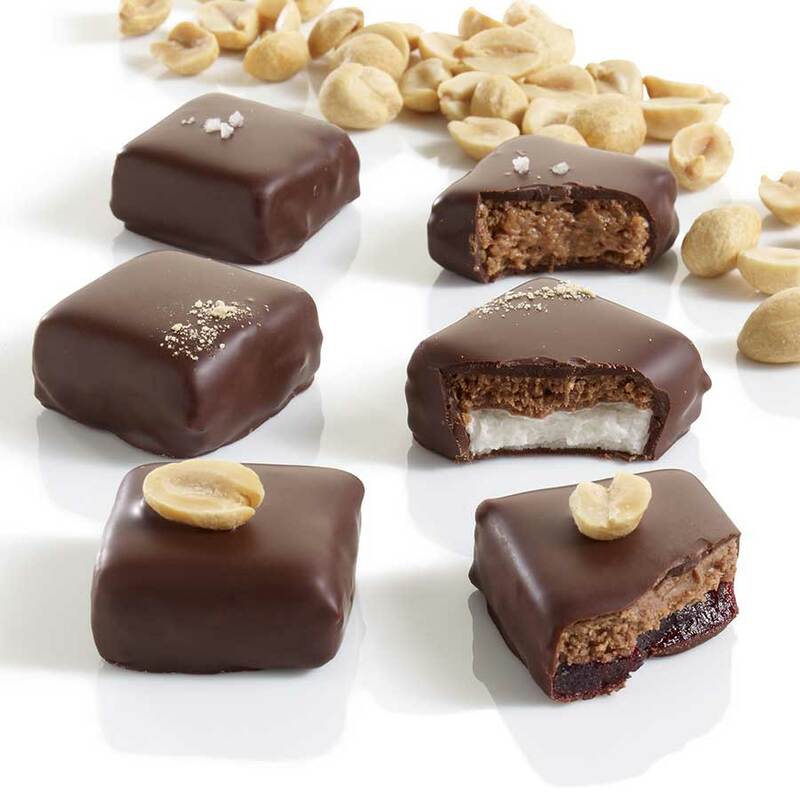 In our 12-piece Peanut Butter Chocolate Trio we nestle four rich, crunchy peanut butter praline squares sprinkled with sea salt, four squares of peanut butter praline layered over raspberry pâte de fruit, and four squares of delicate marshmallow topped with peanut butter praline in a single box. 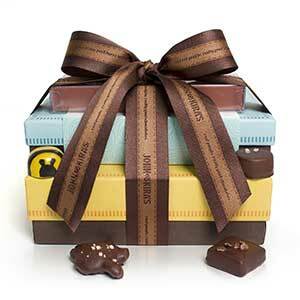 All twelve pieces are enrobed in luscious dark chocolate. These childhood classics become the perfect grown-up indulgence! Our 9-piece Bees have a liquid caramel center and a clear, caramelized honey taste. This unique flavor comes naturally from the fragrant basswood honey we use, supplied by the Draper Family Apiaries in Millerton, PA. Once filled, each of the nine bees is carefully painted by hand with a paper-thin layer of yellow and black cocoa butter. 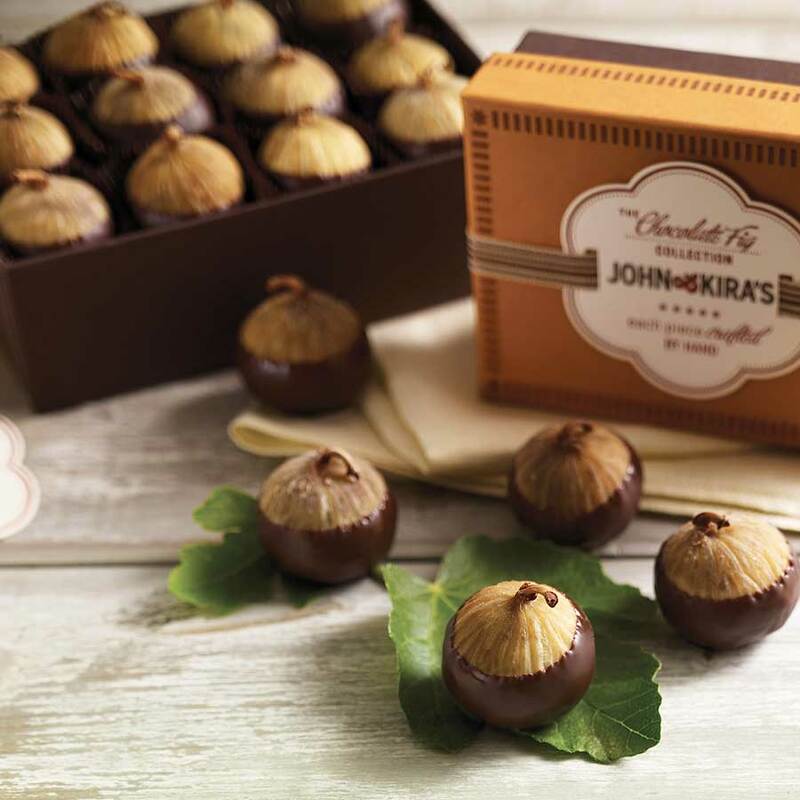 For our 6-piece Chocolate Figs we import tender, organic dried Calabacita figs from a small family farm in Spain then fill them ourselves with a silky smooth, whiskey infused Valrhona dark chocolate ganache. 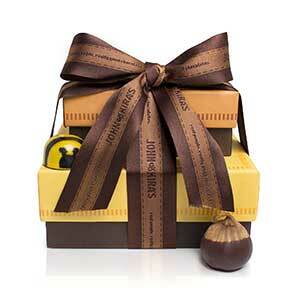 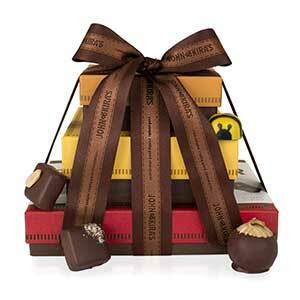 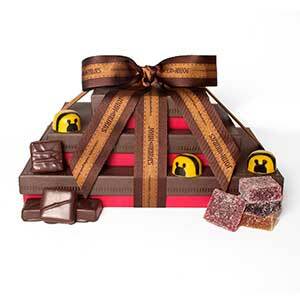 They are then hand-dipped in 62% dark chocolate before being packed carefully in a 6-piece box. Contains: milk, gluten, peanuts, and soy. John & Kira's kitchen handles tree nuts, & egg protein.